The Historical Ağa hamamı was constructed by Fatih Sultan Mehmed the Conqueror (the 7th Ottoman Padishah). Ağa Hamamı was used as a private hamam by Mehmed the Conqueror and his sons. At that time, Beyoglu District was not a settlement area and the Padishahs would come to Beyoglu District for hunting. Mehmed the Conqueror constructed this building as a hunting house in 1454. Ağa hamamı was designed as a hamam below the two flats above. It underwent a large-scale renovation in 1844 by Abdulmecid (the 31st Ottoman Padishah). It was used by the Padishahs and their sons until the final years of the Ottoman Empire. Mehmed the Conqueror constructed this building as a hunting house in 1454. Ağa hamamı was designed as a hamam below the two flats above. It underwent a large-scale renovation in 1844 by Abdulmecid (the 31st Ottoman Padishah). It was used by the Padishahs and their sons until the final years of the Ottoman Empire. Aga Hamami is first turkish bath in Istanbul. With the foundation of the Republic of Turkey in 1923, the Ottoman Empire ended. In those days a Armenian woman bought the Ağa hamamı and it first opened to public. She decided sold the Ağa hamamı to Huseyin Yilmaz. Due to his old age, Huseyin Yilmaz sold it to his nephew Ali Yilmaz in May 1974 after thirty four years of operation. The last renovation was in 1986 by Ali Yilmaz. It serves only tourists mixed hamam in Istanbul for over ten years. The reason of the establishment of such turkish baths were generally because of commercial, cultural and religious reasons. 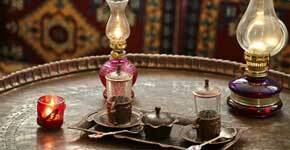 Therefore, turkish baths have been established in the places that were heavily settled by Ottoman Empire. Turkish bath had cultural and religious elements because the Ottoman Empire was a Muslim community, in other words, its religious element. Since there is an obligation of performing an ablution in Islam, the state used to establish in settlements expecially turkish bath in Istanbul. Some of the sultans established turkish baths with charity purposes whereas some of them established turkish baths with commercial purposes. These turkish baths were not established only for public in Ottoman Empire. They were established for sultans and their families. These turkish baths were called as palace baths and Ottoman Sultans used to establish hunt homes since they were keen on hunting and they also used to establish turkish baths inside such hunting homes. There was another bath group that took part in military service areas and guild of janissaries. For this reason, Ottoman Turkish baths were classified into four groups. Public Bath: These were established for women and men to have a bath separately. These had the capacity of hosting 150 people at the same time, and they were used for public use in Istanbul. Palace Bath: They were established for the use of Sultan and his family. These were generally big and there were separate turkish baths in Istanbul for sultan himself, for his family and attendants which were called as zariye. Palace baths are not the baths that are used nowadays, they are generally seen while touring the palaces since they are located inside the palaces. There are examples that can be given inside Topkapı Palace in Istanbul. Family Fome Bath: Hunting is the most popular sport in Ottoman that is performed culturally.These are the baths that were established far from the settlements in Ottoman Empire that can be used by Sultans and their families when they arrive home. They are much smaller and they were established as one single turkish bath Istanbul, and they had the capacity of hosting fifty people at the same time. Although they are not directly called as palace bath, they had the characteristics of palace bath. Nowadays, Landlord Palace can be given as example for this kind of baths. Janisary (Military) Bath: These baths have been established only for men use. They are used in military service areas and there are military school or organization. Although they were established as one single turkish bath, they are very large turkish baths in Istanbul. After the establishment of Turkish Republic on certain parts of Ottoman Territories, the Ottoman Empire could not sustain its existence. Ottoman People are regarded as the ancestor of Turkish People and the Ottoman Hamam in this period were commemorated with Turkish baths.The culture are not so different and it is as follows:The guests who change their clothes in the dressing rooms, pass to the warm area and they need to sweat in the warm area at least thirty minutes. In this period, warm water can be used in order to accelerate the sweating process. The guests can lie on the navel stone or sit in the steam room. After their rubbing and massages are done, they can rest in the resting area by drinking an apple tea. 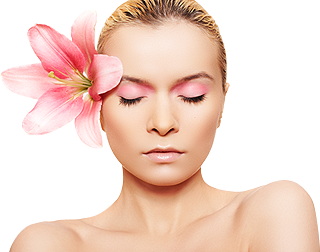 Desirous guests can eliminate the dryness on their bodies by getting oil massage. It is a very historical place and definitely worth seeing. As a foreigner living in Istanbul I like it there because I can go there together with my husband. I was attended by a lady named Fatma and man oh man, did she scrub me well. The whole experience is very interesting, it is more Turkish than other fancy hamams. It is an experience one will hold for years to come. We (couple) visited this hamam after tiring days walking up and down the hills of Istanbul! 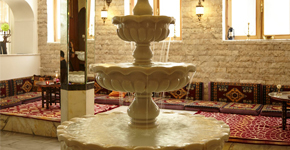 Overall this place strikes the right balance between a semi traditional hamam and one that is westerner and couple friendly. After being given a towel and instructed first to wash, we were directed to the "sauna" followed by a short massage/ exfoliation. 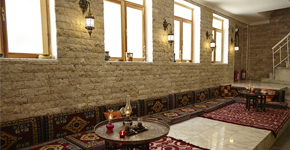 The main hamam room was mixed but the massages and masseurs were segregated by gender. The masseurs did not disappoint but we only had a short massage, as part of the 50TL package. We were treated to apple tea a dry towels after our hamam, and all up spent almost 2 hours there. Purists may be disappointed to find the main room of the hamam to be not very hot or steamy, but what is described as the "sauna" is a smaller room which fits better with standard expectations. The entire hamam was very clean, and the peeling paint of the dome lends a sense of fading grandeur. Overall we both felt very comfortable throughout the experience. I went with two friends and the it was very beautiful and cool place for relaxing.The bath and the massage was great also the workers was caring and attentive to the job. I love the place, will be back again when ever am in Istanbul.